A forceful and high-speed electric motor will yield enough power and rotation torque to quickly accomplish a variety of cutting tasks. A really high performance will let you use this saw even for works requiring an extended operation. 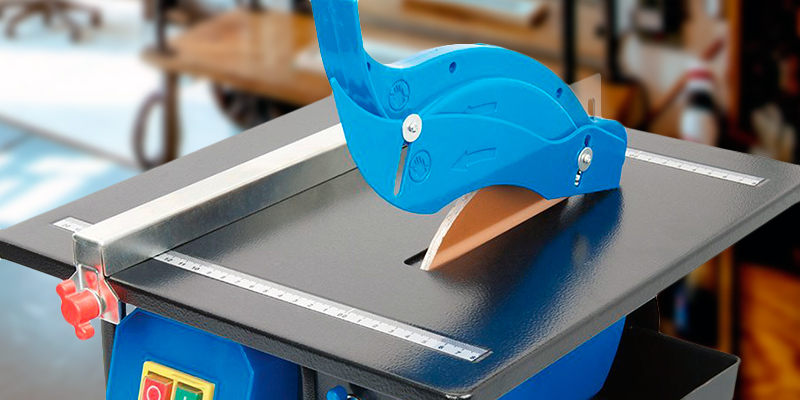 Powerful and dependable, the Virtex tile cutter will become an irreplaceable cutting device for workshops and construction sites. All rotating elements of the machine are securely protected ensuring the work safety. Meanwhile, a water cooling system with a capacious reservoir and a built-in drainage system along with the overheat protection will prevent motor failures and prolong its service life. 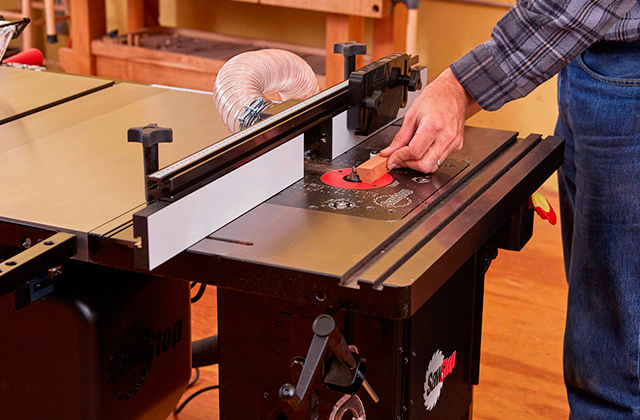 Along with longitudinal cuts, you can also make precise mitre cuts and adjust the table to make precise bevel cuts at an angle of 45° to conveniently lay tiles in the corners. Besides, a handy guide will help accurately define the cut line. A water reservoir might seem somewhat shallow. The wet tile saw from EBERTH will let you cut the tiles of almost any size and thickness precisely and without a single damage. 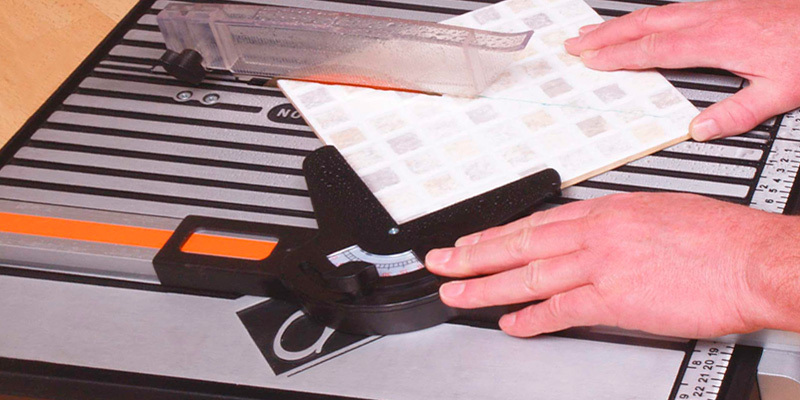 A special measuring scale will help accurately measure out and mark the necessary dimensions. At the same time, this cutter is distinguished by no-hassle maintenance, low energy consumption, reliable and safe operation. The model comes complete with an extension table that will considerably enlarge the working space for easier and more convenient processing of larger workpieces. The machine is pretty bulky. The Titan TTB597TCB tile saw with a diamond cutting blade will easily cut ceramic, porcelain or even marble tiles up to 30 mm thick. A special zinc coating makes the working surface of the machine extremely durable and corrosion resistant. A compact size and rather light weight, as compared to many other models, make the Titan tile cutter convenient for handling and transportation. 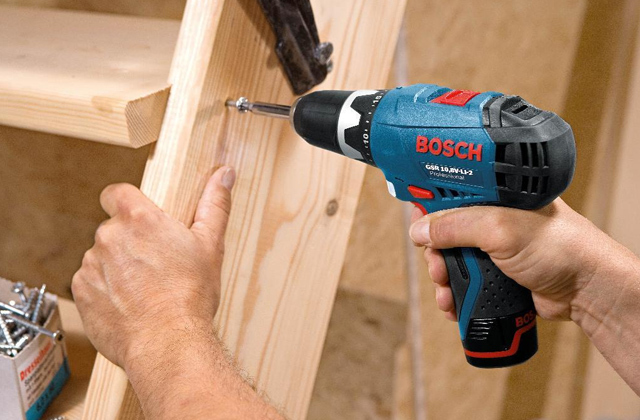 A full-length fence and a mitre guided adjustable from 0 to 45° will let you safely, securely, and firmly fix the workpiece in any working position. Operation instructions are not detailed enough. Ensuring smooth and vibration-free operation, the Silverline 802165 allows efficiently cutting tiles without damaging their surface. A large diameter disc will consistently deliver precise clear cuts free from notches and chips. 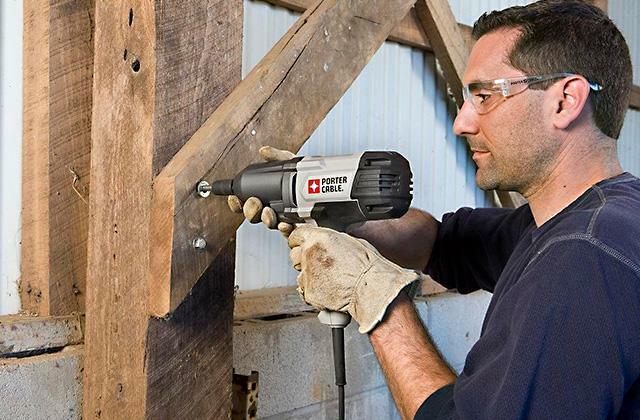 Compact and lightweight, yet, pretty powerful, this model is a great choice for household use. A built-in water reservoir will catch the dust while tiling and help keep your working space clean. Besides, it will cool and lubricate the disc to ensure flawless cutting performance. This model is not the best option for continuous work. 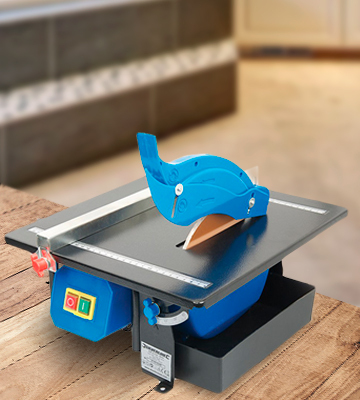 A compact yet functional and rather powerful wet tile saw from Dapetz will help you easily cut through various types of materials, from more delicate porcelain to tough and rigid slate. Though the unit comes fitted with all safety options and stands steady on any even surface, you can further enhance the machine stability by securely attaching it to the countertop using special mounting holes and fasteners on the bottom. Tile is becoming more and more popular material to be used in homes, offices, hospitals, laboratories, and other public places since tiled surfaces are durable, wear-resistant, practical, and usually, require no specific maintenance. 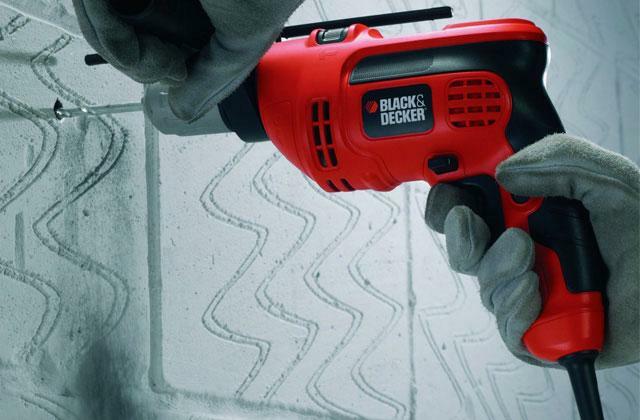 To make tiling process an easy job for both professional tradesmen and DIYers, today, there is a great number of tiling tools available on the modern market. With every tiling project involving tile cutting, a tile saw is a must-have equipment for any tiling project, be it a home bath refurb or a large-scale flooring project in a new building. Among a variety of tile saw types you can choose from, tabletop tile saws boast the utmost versatility, most of them being suitable both for domestic and for commercial use. 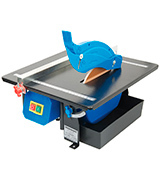 The Vitrex tile cutter is one of such models. 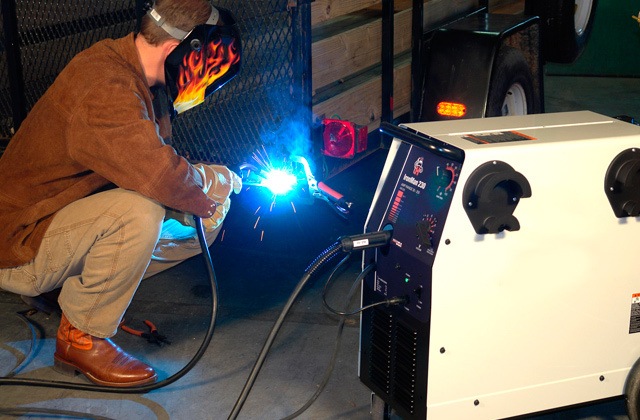 This cutting machine features a forceful 750-watt motor that yields enough power and rotation torque to quickly accomplish the whole range of cutting tasks. Meanwhile, a combo of an efficient water cooling system with a capacious reservoir and a secure overheat protection will prevent motor failures and prolong its service life. A solid 180mm diamond disc blade will smoothly cut through any tile up to 25mm thick. All of this ensures consistently high performance allowing you to use this saw even for works requiring an extended machine operation. Though powerful, the Vitrex 103420 is very easy and convenient in use. Non-skid small feet will provide machine stability on any surface while a sturdy metal bed is wide enough to accommodate tiles of different sizes. A wheel guard ensures operator safety during work and directs the dust down to the water tank to reduce mess during operation. A measuring scale along with a parallel guide will let you accurately measure the necessary dimensions and make clear longitudinal cuts while a tilting table and an adjustable mitre guide are designed for making precise diagonal and bevel cuts. Distinguished by a winning combo of a compact design and powerful operation, the Vitrex tile cutter will come in handy both for occasional home applications and for works on construction sites and other professional and commercial-grade projects. The choice of tile types you can come across today is truly endless. Though ceramic tiles are still offered in the widest range of colours, sizes, shapes, textures, and finishes, you can also find a great variety of porcelain tiles being harder, more durable and scratch-resistant than ceramics, glass tiles, and tiles made of encaustic cement, artificial stone ideally mimicking other natural materials, and natural stone such as marble, granite, travertine, slate, limestone, and quartzite. There is a tile type for any area of application, interior style, and budget. Yet, depending on the intended use and area of application, tiles differ by thickness, to say nothing about material service properties. Thus, tiles for outdoor use normally will be thicker than those for indoor designs while some materials are more prone to cracks and chips during cutting than the others. This is where it would be nice to have a tile cutter that will be able to cut through all types of materials with ease like the one from Eberth. 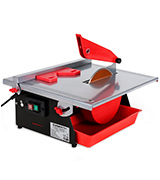 This model comes fitted with a 600-watt motor rotating the disc blade at the speed of 2950 rpm to easily cut tiles up to 34 mm thick. A 180mm diamond carbide blade is solid and has a razor-sharp even cutting edge delicately yet precisely grinding through all types of natural and artificial materials without damaging the tile. Thanks to a work table that can be angled up to 45 degrees, you’ll be able to make accurate bevel cuts for laying tiles in the corners, under the window sills, or in flush with window and door frames. Meanwhile, a rip fence paired with a mitre guide will help you produce clear longitudinal and diagonal cuts. Featuring a tabletop design, the Eberth won’t take much space in your workshop or garage. The machine sits on 4 non-slip rubber feet for good traction with any surface to ensure vibration-free safe operation while the height-adjustable disc guard will securely protect your hands during work. The blade rotates through a water reservoir that allows not only keeping your work area clean from dust but also lubricating and cooling the blade during operation for consistent cutting performance. Delivering smooth and precise cutting results for all types of materials, the Eberth wet tile cutter will add to the arsenal of both a professional tiler often working on different indoor and outdoor tiling projects and a DIYer using various tile types for domestic renovations. 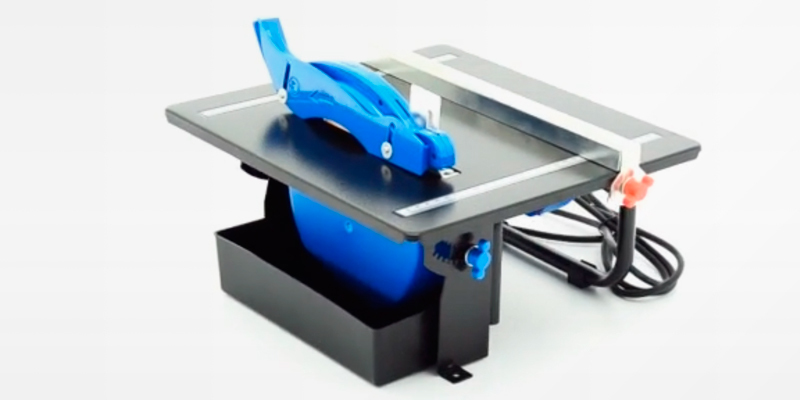 What makes a really good tile saw? First of all, it’s a powerful operation and quality design ensuring consistently smooth and efficient cutting performance. Yet, the convenience of operation is no less important for tile cutting tasks and, eventually, it greatly impacts final cutting results. Hence, a good tile cutter should offer a perfectly balanced combo of functionality and convenience features. 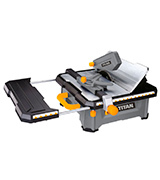 This is exactly what you will get with the Titan tile saw using a wet cutting system. The first thing you will like about this model is its well-thought design created with every user convenience in mind. The machine rests on 4 absorption pads adding stability to any surface and minimizing any possible vibrations during operation. A table construction and all its elements are made of sturdy metal to endure extensive workloads and ensure the ultimate operation safety. The metal bracket below the blade guard prevents a workpiece being caught by the cutting disc and being hurled at the operator while upper and lower disc guards securely protect the operator from any accidental contact with the blade. 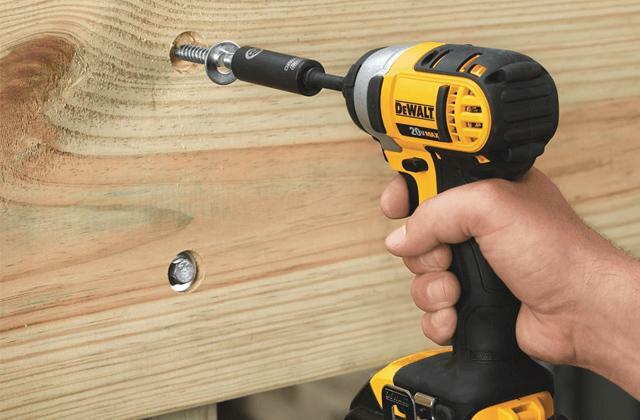 Easy-to-grab yellow handles will let you conveniently adjust and control the parallel guide, mitre guide, and a blade guard to conveniently make accurate and clean longitudinal and diagonal cuts. In addition, a rip fence can be adjusted in 3 different angled positions for bevel cutting. 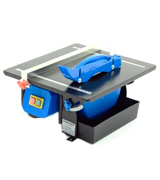 A convenience option you won’t find in many other tile saw models is an extension table that will enlarge your working space to manage extra large workpieces with ease. A carry handle along with a pretty light machine weight of 7.6 kg makes this model portable and easy to handle. 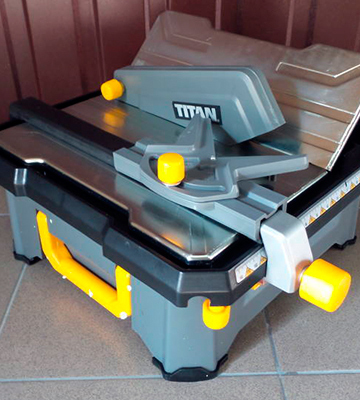 As convenient and easy to use as it is, the Titan tile cutter is also distinguished by a pretty powerful operation. A powerful 650-watt motor yields the rotation speed up to 5500 rpm which is enough for quick and efficient tile cutting. A diamond blade ensures flawless cutting performance on all types of materials and different types of tiles up to 30mm thick. Thanks to a water-recirculation system cooling and lubricating the blade, the cutting disc will last for a pretty long time before you will need to change it. 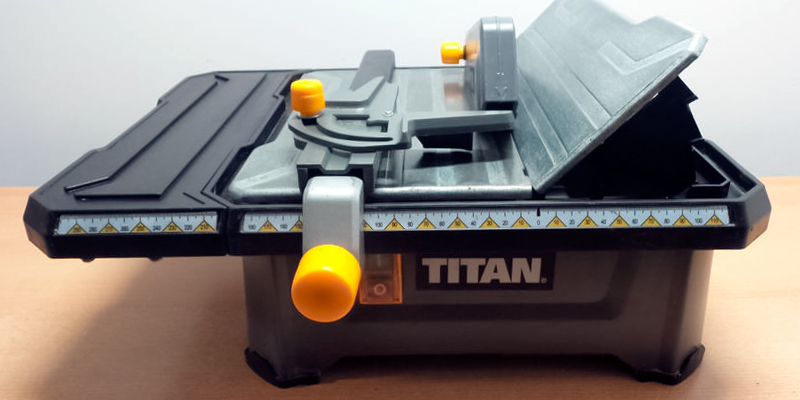 Combining the power of overhead motor models and portability of handheld cutters, the Titan tile saw will be of great use both for onsite workers and experienced handymen often working with tiles of different size. In residential interiors, tiles were traditionally used for bathrooms and kitchens. Yet, today, while still remaining one of the best options for kitchen and bathroom floors, walls, backsplashes, showers, and tubs, tile is also widely used for hallways and terraces, living rooms and dining rooms, especially if you live in a high-humidity region or close to the sea. Along with its exceptional durability, water- and wear-resistance, and hygienic properties, tile has a great decorative potential as well. Offered in an innumerable number of colours, designs, patterns, finishes, and textures, tile can adapt to any decor and style and let you achieve a unique decorative effect almost in any room. Thus, you can create a mosaic headboard in your bedroom, a decorative tile coat rack in the hall, and several display shelves in a living room or den, to say nothing of using bright colour and natural stone tiles for accentuating fireplaces, ceilings, walls, and window frames. And if you are not new to repairs, you can do those home improvements by yourself without hiring an expensive tradesman. The only thing you will hardly do without is a tile cutter. While many people tend to select handheld tile saws for their domestic needs, we recommend you to turn your eyes to the Silverstone wet tile saw that offers much more power and convenience at a really affordable price comparable to that of handheld models. 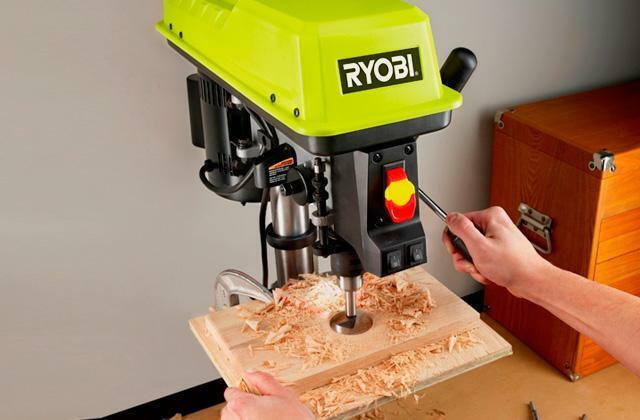 Though it’s a tabletop model, it is pretty compact and will easily find its place on the countertop in your home workshop. Owing to its weight of less than 8kg, you can easily carry it to the place where tiling is needed. Besides, thanks to a wet cutting method applied in this model, you will enjoy dust-free operation and can use the cutter even indoors when refurbishing your bathroom or tiling a backsplash in the kitchen. Powered by a 450-watt electric motor, this machine generates enough power to cut through all types of tiles up to 34 mm thick. Whether you will cut rigid natural stone, glass or ceramics, a 180mm disc blade with a diamond coating and non-serrated cutting edge will always deliver smooth and clean cuts without any chips, nicks or other flaws. 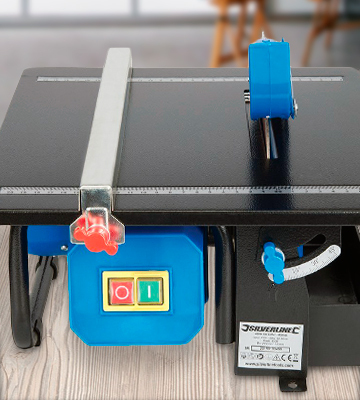 A ruler on a table surface will let you make accurate measurements while a parallel guide will help make precise even cuts on both small and bigger tiles. In addition, a tiltable table and a mitre guide allow making bevel and mitre cuts up to 45 degrees. Robust, portable, and packed with all basic functions, this electric tile cutter by Silverstone will become your best tiling helper without hitting your budget. If you are an experienced DIYer or repairman who has already mastered a variety of repair tasks and jobs from plumbing to flooring, probably you have a truly comprehensive arsenal including a variety of manual tools and power equipment for all kinds of work. 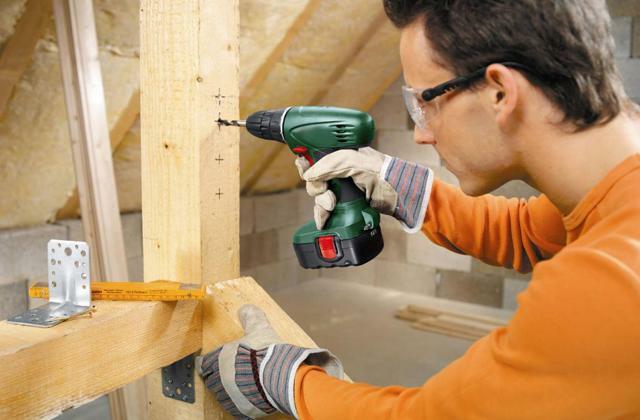 And more likely than not, you have a mitre saw or circular saw to cut through wood, plasterboard, laminated plastic and metals. 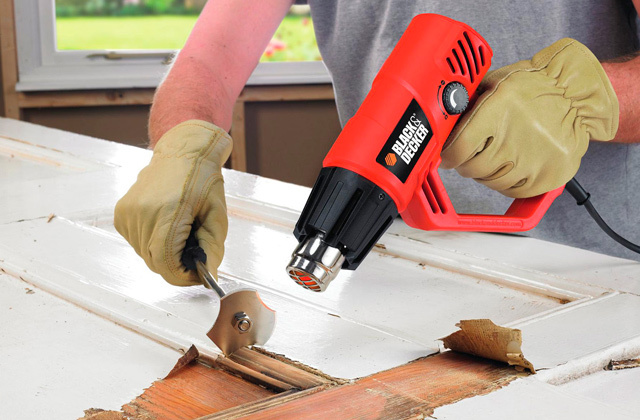 However, when it comes to tiling a kitchen backsplash or bathroom walls and floors or refitting columns and stairs in the hall with travertine or marble tiles, neither mitre nor circular saw will help since their heavy-duty blades with micro teeth will rip and damage rather brittle tiles made of ceramic, porcelain, or stone. For this kind of work, you will definitely need a tile saw providing a more delicate cutting action. Yet, there is no need to buy very powerful and rather expensive premium models. A more simple model like the Dapetz tile cutter will be more than enough for cutting wall and floor tiles. See for yourself. 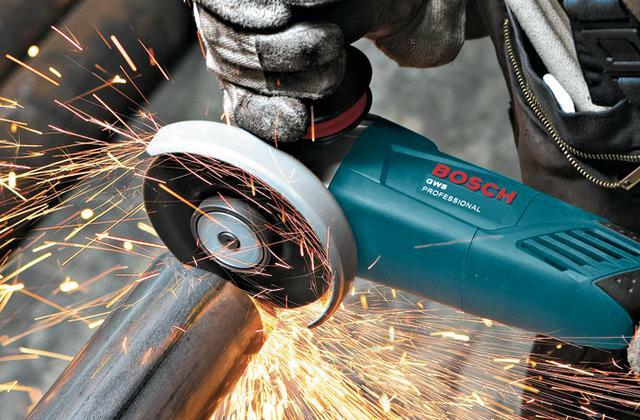 An average-power electric motor speed the cutting blade up to 2950 rpm to smoothly yet precisely grind through tiles up to 34mm thick. Such cutting depth will let you cut not only rather thin tiles for indoor application but also thicker paving slabs for an entrance porch or sidewalks in your garden. Meanwhile, a 180mm diamond blade will easily cut ceramics and stone and can even slice glass for decorative glass panels or bars. A 360mm x 330mm table will accommodate tiles of any size and can be tilted at a 15, 30, or 45-degree angle for making accurate bevel cuts. Paired with a built-in ruler, a parallel guide will help you make perfectly straight longitudinal cuts while a 45-degree mitre guide will let you cut tiles by diagonal. Speaking of the machine design, the model features a sturdy and durable all-metal construction. It will stand steadily on any even surface but for additional stability, you can attach the cutter to the countertop using mounting holes and fasteners on the bottom. As in all other tabletop models, the cutting disc is covered with two guards not only intended for protection from accidental contact with the blade but also serving as splash guards. Since the blade rotates at a single speed, there are only two control knobs on the front panel for turning the unit on and off. If you need a simple yet functional cutting device to manage a variety of household jobs involving accurate tile cutting, the Dapetz tile saw is the right option to go for. When it comes to repairs both at home and on construction sites, as a rule, tiling is considered one of the most challenging jobs. Tile is hard and pretty brittle at the same time. Hence, it can be quite tricky to make accurate cuts without damaging the tile or causing cracks. This is where you will need a tile saw. Fitted with diamond carbide blades that don’t sharp have teeth ripping the material, tile saws rather grind than cut through natural and man-made tiles, glass, stone, ceramic, and porcelain. They are designed to make not only precise straight cuts but also intricate cuts of different shapes. 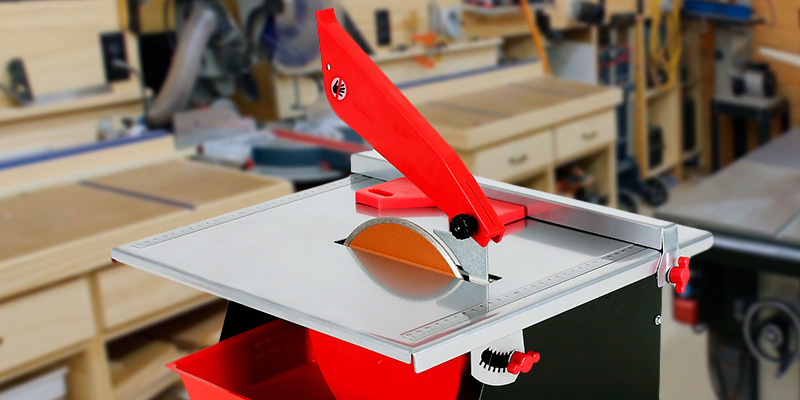 This cutting device strongly reminds a table saw or mitre saw, however, they do have certain differences. 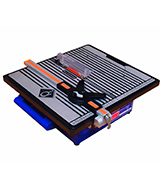 Unlike table saws, tile saws have angle guides that allow making diagonal cuts and feature special measuring equipment for handling different materials. Yet, the major difference is that tile saws employ a wet cutting method collecting all dust particles in water trays. When laying tiles, it's very important to lay the first row flat, so we recommend using a laser level for this purpose. Also, pick one of the concrete mixers to prepare mortar for tiles easily and promptly. 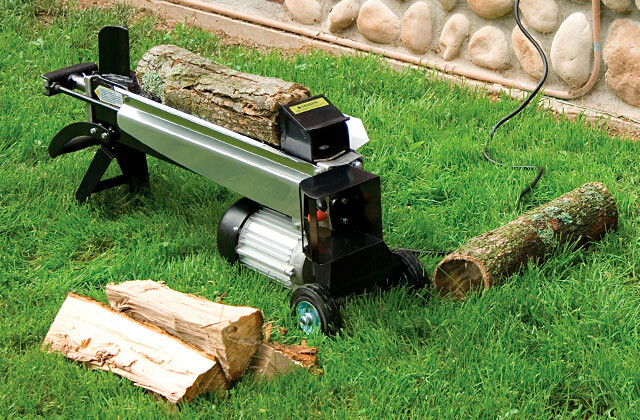 Tile saws are divided into the handheld, tabletop, and overhead motor models. 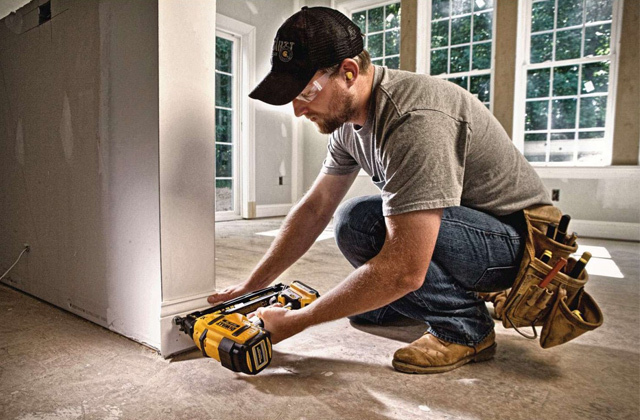 Handheld saws fall into corded and cordless models. They can be connected to a vac or water tank to collect dust. Due to their small size and weight, handheld saws employ small cutting discs, hence have a low depth of cut. Handheld saws come in handy in minor repair jobs and are extremely convenient for construction workers who often need to move from site to site. Quite often, they are used at big sites too, as they are much easier to move around than the tabletop models. As regards the tabletop tile cutting saws, they look very much like table saws and are used predominantly in large projects. The overhead motor saws are designed for professional use and enable workers not only to cut tiles but also to make sophisticated openwork for decorating floors and walls. 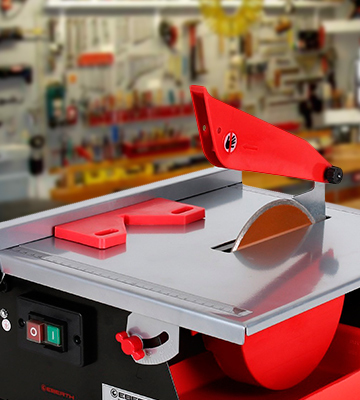 Having decided on the type of a tile saw you need, consider its specifications. The power is one of the crucial aspects to be taken into consideration; it defines the rotating speed and the maximum blade diameter that can be used. Hence, you need to know the size of tiles to be cut in advance, as the thicker they are, the bigger blade you will need. The cutting depth parameter is of no less importance too. Usually, it is determined by the machine type rather than the size of the blade. The typical cutting depth of handheld models makes around 25mm deep, while for tabletop saws it makes 10-20mm. Overhead motor cutters are even capable of cutting not only tiles but also slabs up to 80mm thick and more. As for the speed, 3600 RPM is considered to be optimal for the blades of 250 mm in diameter; 180 mm blades usually spin at 5100-5200 RPM; the blades up to 100 mm run at 9000 RPM and higher. The angle of the cut is one more thing to pay attention to. At some stage, you're likely to need to make slanted cuts. For this purpose, a vast majority of tile cutting saws feature special angle guides adjustable at 45° and 22.5° degrees, although, you can also find models that will let you choose a suitable angle from 0° to 45° range. We can instantly attribute water trays to the convenience features of tile saws. Water doesn't affect the quality of cuts but catches all dust particles, keeping your workspace cleaner. When selecting a handheld model, shoot for compact and lightweight models that won't strain your hands. Make sure that the chosen tile saw allows for making diagonal cuts. For professional tilers working on construction sites, we'd also recommend considering models with extendable tables, as the tiles may come in many different shapes and sizes. 1. Tile Saws Buying Guide, eBay. March 3, 2016. 2. How to Buy a Tile Cutter, wikiHow. 3. How To Cut Tile Like A Pro, Home Depot. 4. 2 Types of Tile Saw Blades, DoItYourself.com. 5. Brittney Smart How to Use a Wet Tile Saw: A Beginner’s Basic Guide, Homedit. 6. Ceramic tile cutter, Wikipedia. December 7, 2016. 7. 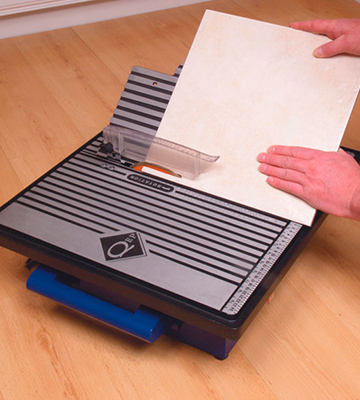 What is a Ceramic Tile Cutter? wiseGEEK. 8. Lee Wallender Buying vs. Renting a Wet Tile Saw, The Spruce. January 21, 2017.